Old age eventually becomes us, and one of its casualties is attempting to remember the small details which we’re wanting to. But it becomes difficult to recall each and every instance that we intend to keep in mind. We’ve all done this on occasion, we go into a certain room, to the grocery store, or we sit in front of our computer, and then suddenly draw a blank, we completely forget what we were planning to do. It’s our little secret. So you laugh and just shrug it off once you do remember and occasionally place your hand over your forehead and give it a light tap for forgetting. 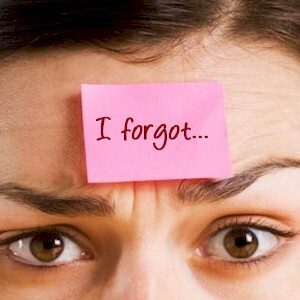 The reason that you can’t remember is perhaps because of a particularly hectic day, or a busy work week. Or yes, and that thing called old age may be starting to creep up on you, and the proper functioning of your brain may be showing signs of getting worn out and becoming overused. What we’re constantly inundated with on a daily basis are hundreds of facts and opinions from a variety of sources. So it does become difficult for anyone to retain and recall the most important “stuff” that we need to remember. Regardless, before others take notice of your forgetfulness, and begin blaming you on it, listed are some of the proven ways on how to keep the “To Do” list on the top of your mind, which keeps your memory muscles in better shape. What you’re ultimately wanting to do is shift all of the important facts directly from your short-term memory to your long-term memory. Research has determined that this process normally takes around 7 to 9 seconds of concentrated attention on a specific task or item. So the next time that you need to remember something long term, to encode something that’s important, make sure that you focus on it while mentally counting up to 9 seconds repeatedly so it becomes locked in. You can easily store a “things to do” list on your tablet or smartphone, or use a voice recorder to remind yourself of what needs to be done. But doing so becomes too much work if you’re wanting to remember something that’s minor. So go back to the time when people actually used a pen and paper for taking notes. What taking the time to write something down that you need to remember does is it encodes the brain so you can remember. The actual act of writing something down physically helps in registering the text into your mind, where you’re able to recover it easier later. Set a pattern, so all of the basic things, like where you place your keys, smartphone, or sunglasses are always in the same exact spot in your home or office at all times. The same also applies for all of your most important information. Once you establish a specific folder for your most critical documents, such as your email or data, then you’ll know where to go first. What your brain longs for the most is the proper amount of sleep to stay sharp. If you deprive yourself of adequate sleep, you begin taxing your memory first, and then begin forgetting things. So stay rested which keeps your mind alert. What eating the proper foods does is they’ll improve your memory since they contain special vitamins and antioxidants. So consume more of the following by munching on: blueberries, fresh salmon, cauliflower, broccoli, cabbage, etc. as part of your daily diet. Some experts claim that dark chocolate along with a glass of red wine every once in a while will help you in remembering better. But not to the excessive point that you don’t remember the night before. Keep your mind mentally sharp by actually challenging it, which makes you sharper and a lot more effective at remembering things. Use mental challenges such as learning complex concepts, which then makes simple tasks such as remembering names easy. What an active healthy body does is it provides for a healthier mind. Not only does consistent exercising make the brain work more efficiently once you pump more blood to it, it also forces the noggin to work harder as well. So if you’re wanting to come up with some new creative ideas, then go out for a jog or a bike ride, which makes your heart, legs, and brain work harder. By the end of the exercise, your mind will be full of ideas. If you’re really wanting to remember something that’s extremely critical, then intentionally break a set routine or habit that’s surrounding it. Say for instance that you keep on forgetting to back up all of your important data on your computer at the end of the workday. And let’s say that by habit, you always leave your keys in your left pocket. Begin putting them in your right pocket instead, so once you’re ready to go home, you have to break that set pattern. That odd feeling will act like that string tied around your finger. What doing so does is it makes you aware that you need to do something, oh right, back up your computer. Begin making up mnemonics or number sequences which will lock in all of the important facts into your memory. Doing so can be an extremely powerful tool. Remembering rhymes or a poem makes it a lot more easier to remember certain things or passages. Names as well as numbers by themselves can usually be forgotten easily if there’s little or no content that surrounds it. So once you’re introduced to any new information, take a note of its immediate surroundings. Associate the details which you can match with the specific information you need to remember. Recognize the exact order of events and then replay them back in your mind to retrieve the information.